Just to share with you guys in case you are going out to town tomorrow, so that you could plan your journey better and not stuck in the jams for hours! 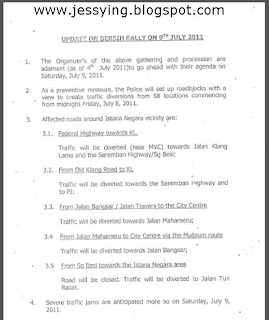 As you all already know tomorrow there will be Bersih 2.0 Demonstration and hence there will be many roadblocks around KL. p/s: Please take note that this is not an official copy of the block list of roads in KL but a copy a friend sent to you via email for your reference only. 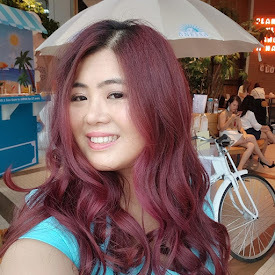 Lebuh Ampang, KLCC, Bank Negara, Sogo, Chow Kit, Menara Sultan Ismail, Masjid Negara, Jalan Raja Chulan, Jalan Ipoh, Sentul, Jalan Tunku Abdul Rahman, Jalan P.Ramlee, Jalan Bandar (Jalan Tun HS Lee), Subang Jaya (USJ – in front of Summit/Segi College), Sunway Pyramid, Subang Parade, Federal Highway, LDP, KL-Seremban Highway. Bukit Angkasapuri, Astro, Jalan Bangsar, Batu 3 Jalan Cheras (Pudu Ulu), Jalan Klang Lama, Segambut Tambahan, Jalan Galloway, Bukit Pantai, Brickfields, Sentul Raya, Steysen Cubada (Sentul), Menara KL (Jalan Puncak), Jalan Raja Chulan (Bukit Mahkamah), Bukit Jalil. Disclaimer : Information is posted for your reference and I exclude all liabilities. 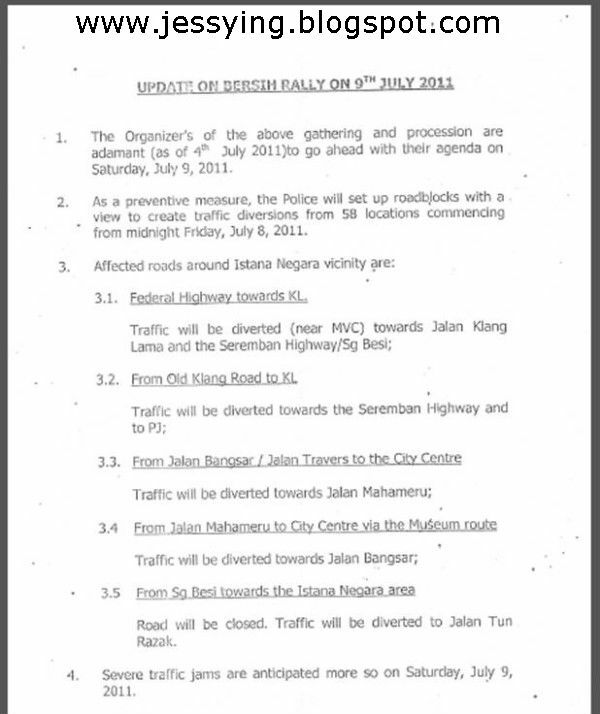 Pengsan~ Traffic congestion everywhere.. Activities/gatherings called off.